Is your child struggling to adjust to wearing eyeglasses, especially to school? We’ve enlisted the help of Marilyn Kagan, LCSW, and Neil Einbund, Ph.D., psychotherapists and authors of Defenders of the Heart: Managing the Habits and Attitudes That Block You from a Richer, More Satisfying Life, to give a few pointers on how to best ease your child into becoming “clearer” and have greater “vision” towards becoming a person who is a proud wearer of spectacles! only once they remove them that they’re transformed form ugly ducklings into magnificent white long-necked swans. anomaly rather than a unique trait- and more than anything I know my little eight-year-old just wants to fit in. So, what can parents do to help your child feel as beautiful as they look in eyeglasses? 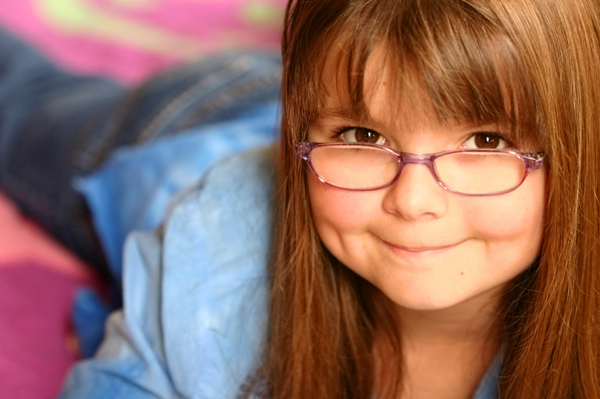 Kagan and Einbund offer these tips to help your child get accustomed to wearing eyeglasses. colors/styles, your child likes. Make buying those glasses a fun excursion. Give you and your kid plenty of time to try on all kinds of styles…Don’t rush it. it’s a sign of solidarity! that anything is right… as long as it is healthy and good for you. out of their peer group for awhile. like. It’s a visual affirmation that it’s totally OK to wear glasses! necklace to hold the glasses around her neck when not wearing them could be fun fashion statement. pride in their new face accessory and keep track, clean, and make sure their glasses are safe! Tell us: How have you helped your child adjust to wearing glasses? Comment below! out Melissa’s blog, “This Real Mom Wouldn’t be Caught Dead in Mom Jeans,” at Real Moms Guide.